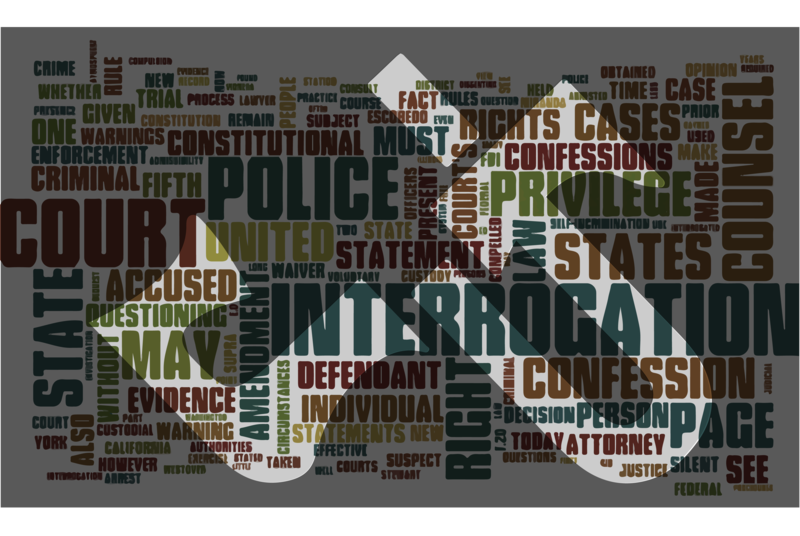 This is a category for legal information, how-tos, and legal news. Welcome to our first Staff Attorney! Justice Unlocked is proud to welcome our first Staff Attorney to the team, Michael LoPrete! Michael D. LoPrete has been practicing law for over six years, mostly handling cases related to Family and Juvenile Law. He earned his J.D. from the Indiana University School of Law in Bloomington, Indiana (now called the Maurer School of Law), and before that graduated from Wabash College in Crawfordsville, Indiana. He’s got experience with the Department of Child Services, and is a Domestic Relations Mediator. Michael been a resident of Bloomington, Indiana for most of the last twelve years, ever since he moved to the city for law school. Bloomington is an easy town to fall in love with, and for Michael there was no exception. Michael is newly married, with a son in kindergarten. We're extremely excited to welcome him to the team, and with his help we've already begun to be able to do real help in the community by taking in our first clients. He's going to be a valuable mentor to our intern staff, and we hope you guys make him feel welcome! Old debt gets written off, then sold, then parceled out to debt collectors where it comes back to life. This is actually a great article and an interesting look at the unethical practices in the debt collection industry. I remember the first time as a law clerk for a judge I got a filing from a lawyer who (because of state law) had to stamp a “This document is from a debt collector” on all their stationary. It shocked me at first. I had thought there was a clear difference between a debt collector and an attorney, but for many firms in this kind of business, those lines blur. Trying to help stop these debt collectors can be a full-time job all on its own, for example the consumer financial protection bureau. Some firms are filing thousands of lawsuits a month to collect on consumer debt. Most of these lawsuits are baseless. Many of the debt collection practices are outright illegal. And they’ve almost never, ever, done the paperwork correctly and have a clear and legal claim of title to the debt. Often times, literally all you have to do is show up and say “Prove It”. But so many consumers are scared into paying, or just ignore these kinds of summons hoping they’ll go away. I know, I’ve been there myself. 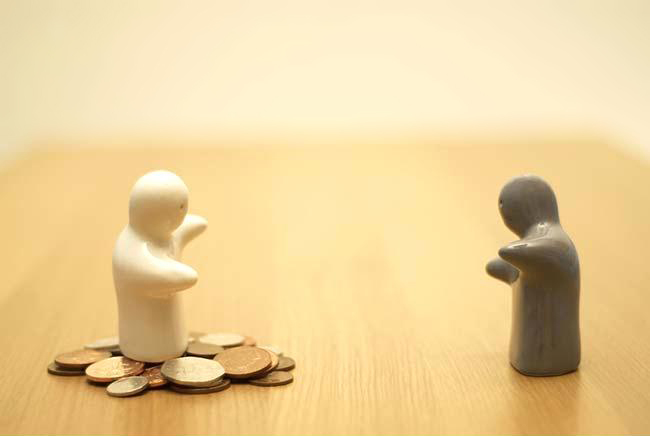 When consumers are unsure what to do, they need help stopping debt collectors. 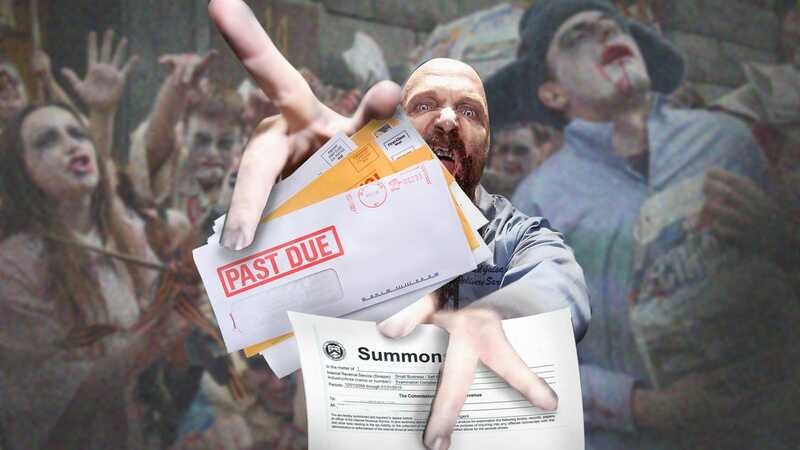 The community in the areas that Justice Unlocked serves, won’t have to worry about ignoring this kind of zombie debt. We’ll be willing to fight for you, the lending industry may be predatory, but now you’ll have a friend on your side. The poor and disadvantaged populations that we serve are often the number one targets for this sort of unethical practices, and I’m really looking forward to doing what we can to give people help stopping debt collectors and taking their lives back – for less than they’d have to pay regular attorneys. 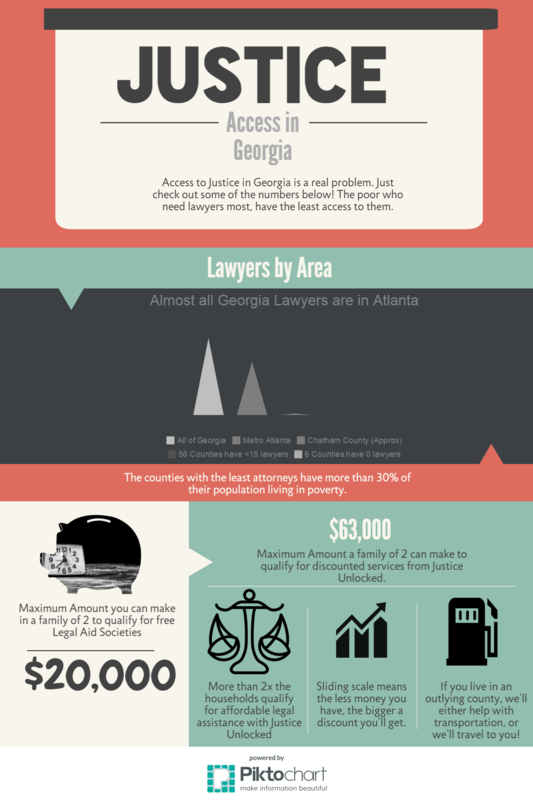 The need for discounted legal services in rural Georgia is very real.